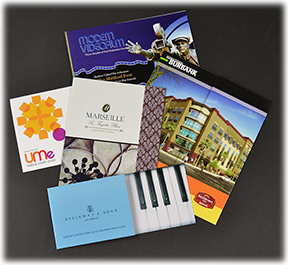 Flyers and brochures are great, cost-effective ways to get your message out quickly and easily. From simple black and white to full-color designs, Patterson Graphics can create brochures or flyers for you that will grab attention and get results. Bring us your ideas today and we’ll make it happen.